Family Geier from South Tirol’s Plonerhof Winery in St. Magdalena near Bolzano wishes you the warmest of welcomes! See the most beautiful part of Bolzano bedecked with wonderful vines while you indulge in the local South Tirolean wines direct from the vintner, such as the classic award-winnng St. Magdalener DOC, the elegant Lagrein „Lagralena” or a fresh and fruity white muscat / pinot blanc. Light and fruity, with a rounded and intense flavour, this „Queen of the Vernatsch region“ is a real crowd-pleaser. The St. Magdalener DOC classico from Plonerhof Winery leaves an overarching impression from start to finish: ripeness! The famous hill of St. Magdalena – emblematic of this distinctive wine – is the best place for the grapes on the ancient Vernatsch vines to reach perfection and its particular flavour can be detected in the minerality of this distinctive wine. The delicious Vernatsch with its flowery freshness is midsummer in a glass. The traditional Lagrein content of around 10% makes this a truly unique taste experience! "..a red wine that can be served with meat or fish!.. It’s truly sensational!" The St. Magdalener classico 2013 edition „Laurin“ from Plonerhof was selected South Tirolean “Vernatsch of the Year 2014” by the Dolomites publishing house! To be awarded this honour over more than 100 other wines was a great honour for all our colleagues at Plonerhof! A rare gem: 70 year old vines are a rare treasure. Old vines are characterised by high quality, intense aromas and signal rare and sought-after wines. The St. Magdalener DOC classico “Old Vine” from the Plonerhof Winery is our newest line of wine! Grapes from 70 year old Vernatsch vines selected and developed with the greatest of care into truly top quality wines. A top cuveè combining white muscat and pinot blanc, sweet with exotic fruits: harmonious through and through. The IGT Mitterberg Weißgold from Plonerhof vineyard is a genuine top cuveè of its class. Bursting with white muscat grapes and fresh and fruity pinot blanc berries this white wine is unique and incomparable! The exotic scent of the white muscat grapes remains from the nose through to the palate, where the fruitiness is unmissable. The fine acidity and harmonious character of the pinot blanc perfects the taste-bouquet with ist fresh notes. "..a white wine like no other!.." 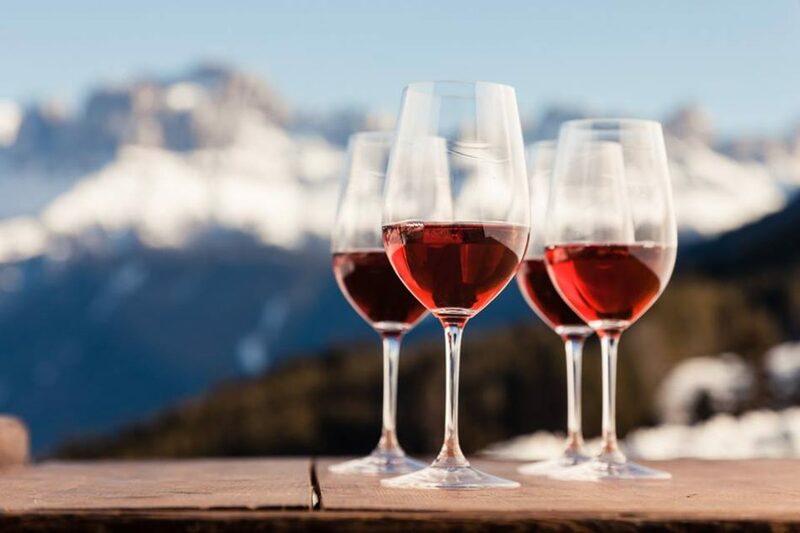 The Lagralena is a wonderful example of a South Tirolean Lagrein, which thanks to the perfect position of the vines has acquired an incredibly fruity bouquet and a certain elegance that other wines find difficult to match. The colour, a deep red with nuances of violet, is immediately suggestive of the stature of this fine wine. The taste and the nose can best be described as dark berries and cherries, with very comforting woody notes. A must for wine lovers!
" ..a wine that may one day be rightfully recognised as THE autochthonous variety.."
A tasting package for a top price. One bottle of St. Magdalen classico DOC “Old Vine“, IGT Mitterberg Weißgold and Lagrein “Lagralena” DOC riserva. A tasting package at a special price! A bottle of each wine to get to know the merits and the unique taste of our top wines. The St. Magdalen classico DOC “Old Vine” made from over 70 years old Vernatsch vines with its extraordinary taste, the IGT Mitterberg Weißgold with its exotic scent of fruits, its sweetness and fine acidity, and the Lagrein “Lagralena” DOC riserva with its distinctive and elegant taste will show you the merits and the blooming taste of the wines of the Winery Plonerhof. A selection of 6 bottles at a preferential price: one bottle per variety (St. Magdalen “Old Vine”, Mitterberg, Lagrein), as well as 3 additional bottles of your favorite wines in any combination. A colorful mixture that best match your personal taste! Enjoy the wines of the Winery Plonerhof and compose your own special advantage package with a bottle of St. Magdalener classico DOC “Alte Rebe”, IGT Mitterberg Weißgold, Lagrein “Lagralena” DOC riserva, as well as 3 other bottles of your choice. You can then choose another 3 bottles from our whole selection, in any combination you like. All possibilities are open to you to create a completely personalized package. Of course with a price advantage over the single purchase. Plonerhof is a Bolzano Vineyard in sunny South Tirol right at the centre of the wine area of St. Magdalena: with high quality South Tirolean Wines and a passion for winegrowing to match your passion for wine we will win the heart of any wine lover! In a perfect synergy of tradition and modernity the age-old experience of the Geier family of vintners awaits you, alongside the modern techniques that led to us being awarded „South Tirolean Vernatsch of the Year 2014“ in the year 2014. Gambero Rosso and the Berebene Wine Guide 2017 awarded our vineyard the Oscar for the best value for money ratio for our St. Magdalener Classico „Old Vine“ DOC 2015! And the St. Magdalener Classico „Old Vine“ DOC 2016 was also a major contender at the Vernatsch Cup 2017, having gone through to the final rounds of this well-known South Tirolean wine competition. With a little notice we will happily organise a tour of our vineyard at St. Magdalena which lies at the centre of the rolling hills of South Tirol. We will be delighted to lead you through the fascinating history of Plonerhof, dropping by at our wine cellars and concluding with a tasting of our wines. Celebrate the 96th “Bozner Weinkost” with us.. 3 days of finest wines and enjoyment!